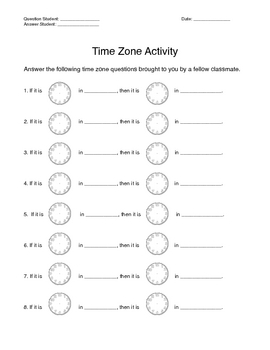 This worksheet will enable your students to practice time zone skills within your state, country, or the world. It requires them to locate time zones and calculate time zone differences. At the same time, it will reinforce their use of analog clocks.